hd00:16BANGKOK - March 2015: Bangkok's BTS trains leaving and arriving at the station. Speed up. hd00:27BANGKOK - NOVEMBER 27: A train departs from the Sala Daeng BTS Station on November 27, 2011. The BTS is Bangkok's aerial metro transportation. hd00:40BANGKOK, THAILAND - APR 8, 2016: train travels to BTS station in Bangkok. 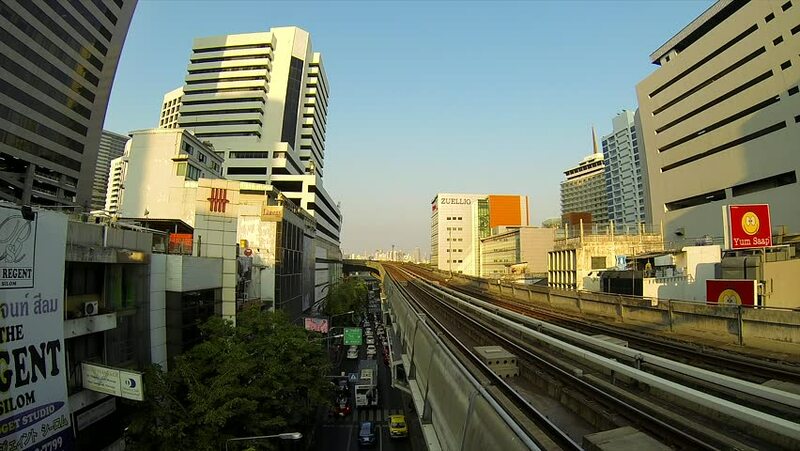 Besides the BTS, Bangkok's rapid transit system includes the underground railway line MRT. 4k00:17BANGKOK, THAILAND - JANUARY 27, 2018 Moving of train railway on the line with building background in the Bangkok, Thailand.